Swimmers shoulder is a common complaint we see at Head2Toe Physio Clinics. 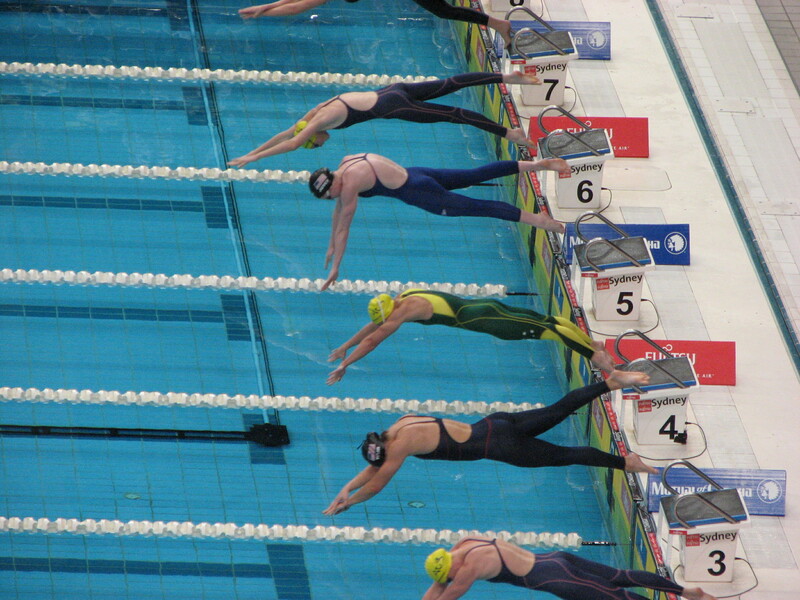 As more and more people get into swimming and in particular long distance swimming, the numbers of people complaining of swimming related shoulder pain increases as well. Swimmers shoulder is a term used to describe a whole array of shoulder problems. One thing they have in common is that they are typically overuse injuries. Symptoms can be neck pain, shoulder pain and pain referring down the arm. The shoulder is a very mobile joint and depends more on stability from muscles and ligaments surrounding the joint than for example the hip joint, which gets more of its stability from the bony socket itself. A number of things can place too much strain on the soft tissues around the shoulder, including fatigue, weakness, tightness, hypermobility and overtraining. For those of you who train at a swimming club or have a swimming coach, technique issues will no doubt be picked up early. For those less fortunate, especially those starting to swim, poor technique is one of the most common and obvious causes of swimmers shoulder. In the early stages after suffering swimmers shoulder, you should follow normal acute injury management. With time, your injured tissues will start to heal and the goal at this stage is to restore normal range of movement as soon as possible. There is evidence at this stage that physiotherapy assisted treatment will improve your range of movement more quickly. Your Head2toe Physiotherapist will use massage, mobilisations and specific stretches to improve your range as quickly as possible. As well as restoring your shoulder range of movement, we will ensure that you have good posture and that your neck, shoulder blade and upper back are moving well too. It is important at this stage to make sure that you gain good scapular control and your Physiotherapist will give you scapular stabilisation exercises to help with this. Good posture can be hard to maintain, especially in this day and age when so many of us spend all day in a car or sat in front of a computer. We may also give you some basic stretches and upper / middle back strengthening exercises to address any postural issues. Once you have good range of movement and scapular control, you will be given rotator cuff strengthening exercises to get these shoulder muscles back up to full strength. The final phase is getting you back to swimming and working on technique issues. We often work with swimming teachers and coaches at this stage to ensure that you have a sensible, graded return to swimming. Your coaches will help you iron out any technique issues but below are a number of key issues specific to front crawl that we have put together with the help from some of our best local swimming coaches. Here are some key points to help you avoid getting swimmers shoulder and how to try and fix it if you have it! If you or anyone you know is suffering from shoulder pain and would like to have a physiotherapy assessment for suitability of physiotherapy treatment, contact us here. This entry was posted in Head2Toe News on April 18, 2015 by Sam Bowden.